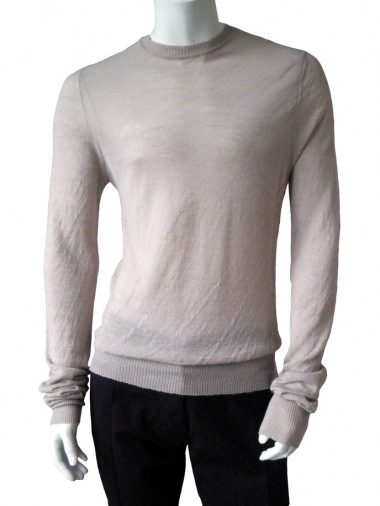 Crewnecked pullover 85% WA 15% Merinos Wool by Angelos-Frentzos - Clothing Men Knitwear On Sale. Crewnecked pullover in light angora yarn. Cuffs and bottom in caneté.